Disney World vacations can be magical and the experience of a lifetime. They can also be frustrating and expensive, without the proper knowledge and planning. To help you navigate through your Disney World vacation planning, we have compiled a list of Disney World tips and tricks. There are thousands of things to experience at Walt Disney World. Some are popular and on everyone’s radar, while others are relatively undiscovered. Our list of tips and tricks aims to provide you with the insider knowledge to make your Disney vacation magical. We have included tips on avoiding crowds, tricks to save you money, Disney dining tips, and much more. 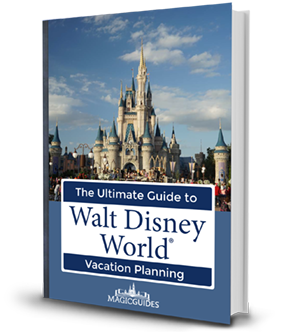 When it comes to planning your Disney vacation, there is no such thing as too much knowledge. We hope you can save time and money by utilizing some of our Disney World tips and tricks. There is nowhere more fun and magical than Disney World. However, crowds and lines have a way of damping enthusiasm. Scheduling a Disney vacation outside of peak crowd times is always advisable, but not always feasible due to work schedules, family obligations, etc. No matter what time of year you visit Disney World, there are ways to minimize the impact of crowds. Here are a few Disney World tips and tricks for dealing with crowds. First and foremost, consult the MagicGuides Walt Disney World Crowd Calendar before planning your trip. This will give your up-to-date park information and crowd size expectations for each of Disney’s four theme parks. Crowds are typically lower when kids are in school. Holiday weeks (especially holiday weekends), spring break, and the summer months are usually the most crowded times at Disney World. Arrive at the park before it opens, regardless of the time of year. We suggest arriving 30-45 minutes before scheduled opening times. Midday sees the highest crowds, so we suggest taking any lunch break or rest period at this point. Crowds normally diminish later in the afternoon. You will often find the longest lines (to enter parks and attractions) towards the middle. Seek out shorter lines furthest to the sides. If you don’t mind splitting up your group, single-rider lines tend to have much shorter wait times. These rides include Test Track, Expedition Everest, and Rock ‘n’ Roller Coaster. If you’ve seen the parade before, skip it. Lines at attractions are often shorter during parade times. FastPass+ reservations are a valuable commodity, so use them wisely. If you arrive at your reservation and the standby line is short, get in the standby line and try to change your FastPass+ reservation (with your phone) to another attraction. When it starts to rain, Disney vacationers often run for cover. Put your poncho on and wait it out. Orlando rain showers are often brief. By the time the skies clear, you will breeze through the lines. Many stores remain open after rides close, so you can do your souvenir shopping before leaving the park. Extra Magic Hours usually means extra-long lines. It’s a great perk, but be warned that parks offering Extra Magic Hours will be more crowded that day. If you have a ParkHopper Pass and want to take advantage of Extra Magic Hours, try hopping to another park mid to late morning. Magic Kingdom is usually less crowded midweek, especially the day after MG has late-night Magic Hours. The Kiss Goodnight performance at Magic Kingdom usually starts 30 minutes after the park closes, so staying around for this is a good opportunity to avoid the crowds leaving at official park closing times. When leaving Magic Kingdom by monorail, take the Resort Monorail. The Express Monorail usually has long lines, while the Resort Monorail does not. If you are leaving Main Street USA (Magic Kingdom) after the fireworks show, walk through the souvenir shops. They are all interconnected and not many people use this route (less crowded). There are also walkways behind the shops that are usually opened up around park closing time. They can also be a quicker path to the exits. If you plan on traveling to Disney on a weekend, schedule your check-in on a Friday, if possible. Most people check-in on Saturdays, so you will avoid the check-in crowds and have less competition for dinner reservations on a Friday. There are endless ways to have fun at Disney World. There are also endless ways to spend money! Here are a few Disney World tips and tricks that can save you some cash. Many off-site hotels participate in discounted rates for AAA members. Joining AAA is inexpensive, so you may end up saving more in discounts than it costs you to join. Airline prices vary from airport to airport. Check prices at nearby airports and consider driving a little further if the savings is worth your extra effort. Buy Disney Gift Cards – free of charge – at DisneyGiftCard.com, or get discounted Disney Gift cards at Sam’s Club, BJ’s, and Target (using Target Red Card). Purchase Disney gift cards at local grocery stores which offer fuel points. Use these gift cards to pay down your Disney trip, as well as save on gasoline. The Free Disney Dining Plan is not exactly “free.” Some dining plans are better suited to certain guests. Paying for your meals with a room-only discount may end up being less expensive, depending on your situation. Disney Dining Plan members can order tap water during a meal, and ask for their free drink to-go (bottled water or soda). For restaurants with free drink refill stations, head to Be Our Guest Restaurant and Tortuga Tavern in the Magic Kingdom, Electric Umbrella and Sunshine Seasons at Epcot, Backlot Express in Hollywood Studios, and Restaurantosaurus in Animal Kingdom. All Disney parks allow you to get free water at counter service restaurants. Adults with small appetites: don’t be afraid to order from the kid’s menu. It’s perfectly acceptable and it will save you money. Disney World Annual Passes are cost-effective only if you visit WDW roughly 11-12 or more days per year. Check your receipts for coupons. For example, Magic Kingdom Quick Service restaurant receipts often include a 10% off coupon for Disney Springs merchandise. Disney World resorts typically give their Guests folders with Bounceback offers and promotions. Use these discounts when booking your next Disney trip. Uber is cheaper than using a local taxi service. Save money by staying at a Moderate Resort when free dining is offered. You will pay the lowest rates on your stay. Visit during a less crowded time, and get free dining. Minimize costs by sharing Quick Service meals. You may also do this with your Disney Dining Plan Quick Service credits. Consider purchasing park tickets well in advance of your trip. Since Disney raises admission prices once or twice each year, purchasing your tickets months in advance can lock in the current admission prices. Disney offers amazing dining options. Here are a few Disney World tips and tricks for dining to help you capture that Disney dining magic. Advanced Disney Dining reservations begin 180 days in advance for all Disney Guests. Online booking begins at 6 am EST, while phone reservations start at 7 am EST. If you are booking online, we recommend setting up your My Disney Experience prior to the 6 am start time (to speed up the process). (See MagicGuides crowd Calendar for specific times). Usually, only Guests who have purchased a hotel+ ticket package can add a Disney Dining Plan to a reservation. However, you may add the dining plan to a room-only reservation by calling Disney or booking through a travel agent. Most dining reservations may be canceled (without penalty) by midnight the night prior to your reservation. Large groups may have difficulty making dining reservations for their entire party. Try making separate dining reservations and ask to be seated together when you check-in. There are no guarantees your entire group will be seated together, but Disney restaurants do their best to accommodate Guests. If you have trouble finding availability for Disney Springs restaurants, check OpenTable for additional reservation times, or call the restaurant directly. An 8:00 am or earlier breakfast reservation at Hollywood and Vine (in Hollywood Studios) can help you secure a good spot in line for Jedi Training Academy registration. Like karaoke? Head to Kimonos – at the Swan Hotel – for great drinks and fun karaoke. For adults seeking a great cocktails selection, check out Mizner’s Lounge at Disney’s Grand Floridian Resort & Spa. For wonderful food and amazing views of marine life, book a reservation at Coral Reef in Epcot, and request to be seated near the aquarium tanks. To increase your chances of nabbing these prime seats, choose the earliest possible lunch or dinner reservation time, and show up early to make your request. Here are some addition Disney World tips and tricks that you can implement on your trip. Book all three of your FastPass+ selections for morning slots. If additional FastPasses slots are available, you can reserve more selections for the afternoon and evening. After your third FastPass+ check-in, open the “My Disney Experience” app to get your fourth. If you are traveling to Disney with other people, consider connecting as friends in My Disney Experience. This will allow you to make reservations at the same time (like FastPass+). Frozen Ever After – inside Epcot’s Norway pavilion – is currently the most difficult FastPass+ to secure. Keep that in mind when booking your advanced FastPass+. We suggest you use a FastPass+ for Peter Pan’s Flight, or head to this ride as soon as Magic Kingdom’s gates open in the morning. Lines form quickly and move slowly. Seven Dwarfs Mine Train is also a very popular ride with long lines in the same area as Peter Pan’s Flight. Booking an early FastPass+ for either and then getting in line at the other at park opening is a good combination. Purchasing a Park Hopper Ticket allows you to visit any and all of the four Disney theme parks on the same day. If you are staying at the Boardwalk/Epcot-area resorts (Boardwalk, Swan, Dolphin, Beach Club, Yacht Club), consider purchasing Park Hopper tickets. You can start your morning at one park, then spend your evenings at Epcot. You will experience great dining options and be a stones-throw from your hotel when you are ready to call it a day. Walt Disney World now offers free wi-fi internet in their theme parks and resort hotels. When you park your car, make note of the location. It may be helpful to snap a photo of this location with your phone. Order bottled water, snacks, toiletries, etc. on Amazon.com, then have them shipped directly to your hotel. This can save you money and time spent shopping during your Disney vacation. Plus, you won’t have to pack these items in your luggage. Be aware that Disney charges a $5 delivery fee per package. Garden Grocer is another option. Instead of standing in lines to meet characters inside the park, consider meeting them at character meals. If you stay at an on-site Disney World resort and want to rent a car (to get to Universal, a beach, or elsewhere else), you have a couple of options. Alamo and National both have on-site offices at the Disney World Car Center. Call 407-824-3470 and a shuttle will pick you up and take you to your rental car. If you are using a stroller, tie a ribbon (or another identification marker) to the handle. This way you can easily identify your stroller. Ask a PhotoPass Cast Member to take photos of you with your own camera. It’s free and they are happy to oblige. Arriving before the hotel check-in time? No problem. Bell Services at Disney hotels will store your luggage until it is time to check in later that day or evening. That means you can head off to the park and your luggage is kept safe. Flip flops and sandals aren’t ideal for walking long distances, but they are great for rainy weather. Consider packing a pair in your daypack in case it rains. Ziploc bags come in handy for many different reasons. They keep your items separated and organized. Place snacks, toiletries, and wet/dirty clothes in Ziploc bags so they don’t ruin your other items. If you are staying on-site and purchase a souvenir and don’t want to carry it around with you all day, use the Disney package delivery service. Your package will be delivered directly to your hotel room. Consider using Disney Gift Cards for convenience sake. They can be used to purchase just about anything at Disney World, and function just like cash. Disney World Tips and Tricks advice: see our Disney Gift Card Discounts page for ways to save. Looking for a good place to watch the fireworks? Stand near people with cameras on tripods. They usually have a good view scouted out. The Ticket & Transportation Center (to the right of the ferry launch) is a great spot to watch Magic Kingdom’s fireworks from outside of the park. Also, consider going to the Beaches at the Polynesian (easily accessible by monorail). Sound played through speakers there. We think some rides are more fun at night, including Expedition Everest and Big Thunder Mountain Railroad. Head to the second-story balcony at Pinocchio Village Haus for relaxation and fabulous views of Fantasyland. We recommend spending half of the day at one park and then heading over to Epcot in the evening to dine and peruse the different countries. If motion sickness is a concern, look straight ahead on Mission: Space at Epcot. Also, the Green line is much less intense. If you have any concerns with motion sickness it’s best to avoid the Orange line. Everyone is required to show their own MagicBand/park ticket to enter a Disney park. However, you can use someone else’s MagicBand/park ticket to use their FastPass+ reservation. Head to the Castle Couture shops (behind Cinderella Castle) for staged princess pictures. Although most visitors are entering from the Bibibidi Bobbidi Boutique, anyone can walk in Castle Couture and have their princess pictures taken. A PhotoPass photographer is on-hand. Some shows – like The Festival of the Lion King at Animal Kingdom – are best viewed sitting up-front. However, other shows often have better views from the back of the room. The Nemo show generally has better views from the middle. Epcot’s Club Cool offers free samples of eight flavored Coca Cola products from around the globe. We think Sunshine Seasons in Future World is the best counter service restaurant at Epcot. Visit one of the Disney’s Character Warehouse outlet to purchase discontinued and discounted Disney merchandise. Locations are on Vineland Ave. and International Drive. If you like chewing gum, bring your own. Disney does not sell gum at any of its properties. Mickey’s Once Upon a Christmastime parade is best viewed from Main Street USA. Expect to see “snow” fall during the parade. This makes for a truly spectacular and festive scene! If you want to see Turtle Talk with Crush without going on the Nemo & Friends dark ride, enter The Seas pavilion via the gift shop. For a low-key attraction with minimal lines, head to The Tomorrowland Transit Authority PeopleMover. We hope that you found some useful Disney World tips and tricks on our list. For more helpful Magic Guides articles, see our Disney Dining Plan Calculator, Disney Transportation Map, and Disney Travel Planners pages.